The GCFID corporate seal. It embodies the values and high standards of the firm. Established in 2008, GCFID is managed by co-founding principals Prakash I. Patel & C. Ryan Conway and headquartered in Atlanta, Georgia. Backed by foreign investment through the USCIS EB-5 program, the firm focuses on opportunistic and value-add investments that create or save U.S. jobs and provide the opportunity for highly attractive risk-adjusted returns. Approved as a USCIS designated EB-5 Regional Center in 2009, GCFID was the first Regional Center in Georgia and the only Regional Center approved for the entire state. 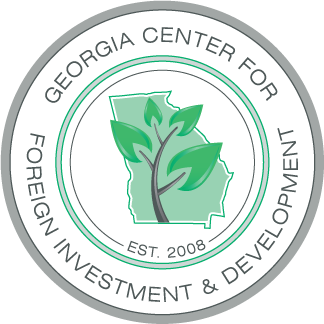 The investment territory is primarily within the state of Georgia, but in select circumstances, GCFID may also consider opportunities that utilize strategic relationships throughout the Southeast U.S. A flexible platform allows the firm to participate as the primary investment sponsor through direct investment or as a third-party equity placement agent. Investments can be made in all parts of the capital structure and within public or private transactions. Fundamentally focused on sustainable economic growth opportunities, the optimal asset range is valued between $1 million to $30 million. Current investment verticals or primary asset classes of interest include hospitality, healthcare, retail and urban adaptive re-use. integrity, partnership, innovation & excellence.